Today is a day for celebrations. First I want to wish all the Mothers out there a very Happy Mother’s Day. May your day be special. I especially want to wish my Mom a very Happy Mother’s Day along with all my friends and family that read this. 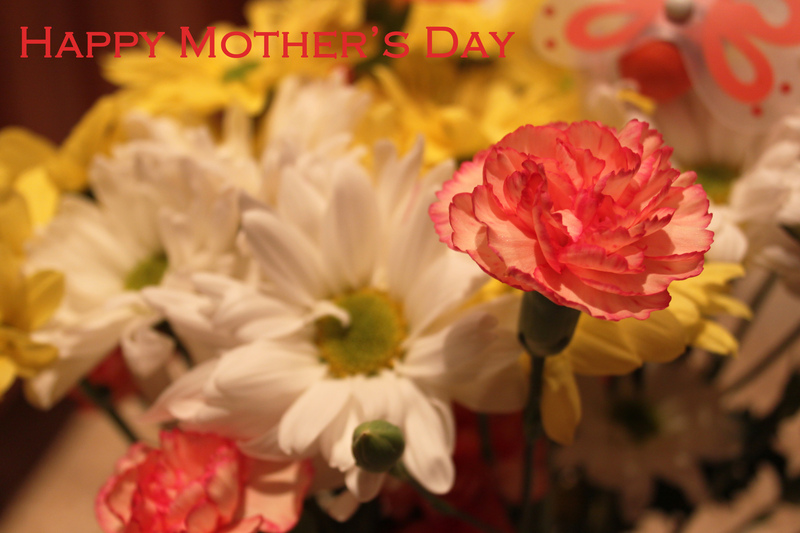 All of you are fantastic Mothers, and each of you have shown me something about being a Mom. However, it isn’t just Mother’s Day. Today we are celebrating Z’s high school graduation. We did it. Together the two of us figured out how to educate Z. He has grown into a fine young man. So much ahead of him. It will be bitter-sweet. We are so happy and proud of him, but it is hard to let him go off to begin a new stage in his life. Today is also JV’s Confirmation into the Catholic Church. So we celebrate his adulthood in the Church. He has asked questions and matured in his faith. It will be a beautiful celebration. So our families are coming to celebrate both events. Lots of cooking, eating, chatting and celebrating. Finally, tomorrow is Big M and my 24th anniversary. I have loved being married to Big M. We fit together so well. I love that man dearly and hope to be married to him for many, many more years. So wherever you are, I hope you have a day filled will love and celebrations because it will be a glorious day here.